This is privacy notice of Studio Cotton Limited. This privacy notice aims to give you information on how we collect and process your personal data through your use of this website, including any data you may provide through this website when you sign up to our newsletter, purchase a product or service, take part in a competition or complete our contact form. For all data matters contact Aime Cox-Tennant via 0117 2440030 or [email protected]. Legitimate Interest this means the interest of our business in conducting and managing our business to enable us to give you the best service/product and the most secure experience. We make sure we consider and balance any potential impact on you (both positive and negative) and your rights before we process your personal data for our legitimate interests. We do not use your personal data for activities where our interests are overridden by the impact on you (unless we have your consent or are otherwise required or permitted to by law). You can obtain further information about how we assess our legitimate interests against any potential impact on you in respect of specific activities by contacting the data controller. Note that we may process your personal data for more than one lawful ground depending on the specific purpose for which we are using your data. Please contact our data controller if you need details about the specific legal ground we are relying on to process your personal data where more than one ground has been set out in the table below. We may use your data to form a view on what we think you may want or need, or what may be of interest to you. This is how we decide which products, services and offers may be relevant for you. You can ask us or third parties to stop sending you marketing messages at any time by following the opt-out links on any marketing message sent to you or by contacting [email protected] at any time. Except for essential cookies, all cookies will expire after 90 days. We will only use your personal data for the purposes for which we collected it, unless we reasonably consider that we need to use it for another reason and that reason is compatible with the original purpose. If you wish to get an explanation as to how the processing for the new purpose is compatible with the original purpose, please contact our data controller. External Third Parties Service, e.g. This version was last updated on 19 November 2019. 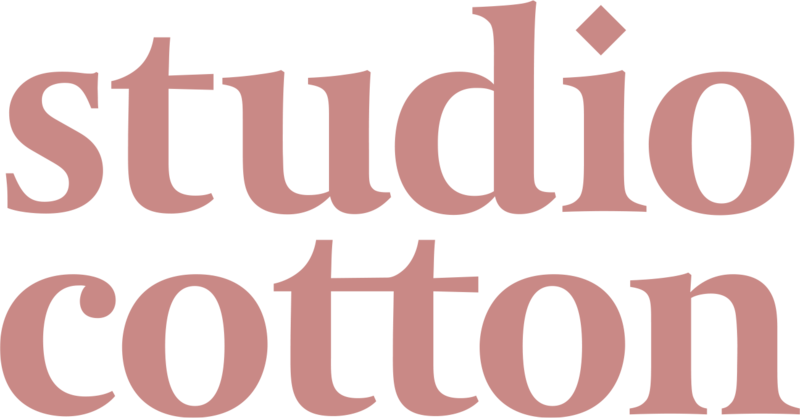 ©2019 Studio Cotton Limited. Registered in England & Wales: 10137998.